These photos (here is the second one, I removed it because I like the one on its own better) were inspired by my current moodboard, now with this wonderful wonderful Manic Panic wig I got for Jul. Taking it off is really depressing as I'm reminded of my actual hair color. And it looks great with my daisy barrettes. And with toothpaste. 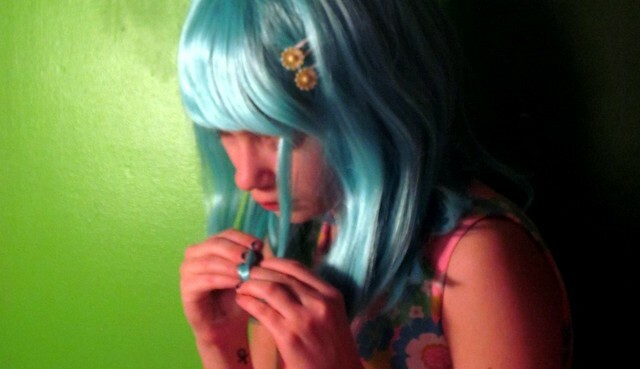 manic panic wig, goody barrettes, and flea market dress.